We want to give our guests the feeling of being at home, to feel completely comfortable and to be able to relax! But this holiday home is absolutely suitable because it radiates solidity, stylish furnishings, cleanliness, tranquility and down-to-earthness. The surrounding south-facing balcony and the terrace behind the house invite you to linger. Here you can to your heart's content, read, barbecue or just relax. Stylishly restored country house, all on one level with 104 square meters of living space can be reached only over a step. Two single rooms, one double room all with table, seating, satellite TV and an external door to the balcony. Two lovingly designed shower rooms, a pantry, fully equipped kitchen with electric cooker, ceramic hob and oven, dishwasher, coffee maker, kettle, radio, fridge and freezer as well as sufficient porcelain, glasses, cutlery, cookware, pan, etc. Spacious living - and dining room with sitting area and large satellite TV flat screen and historic oak table and 6 chairs, oak floor, solid oak - room doors, stove with window for comforting radiant heat will be installed from October. Heating wood included in the price. All roller shutters in the house are electrically operated. Wi-Fi is available without restriction. Seating and relaxation loungers for outside complete the offer. Bettorf lies between Morsbach and Freudenberg in the protected landscape Wildenburger Land surrounded by the extensive Crottorfer forests. Ideal hiking area and pure nature, in the vicinity of the quiet forest - an insider tip for holidaymakers seeking relaxation. 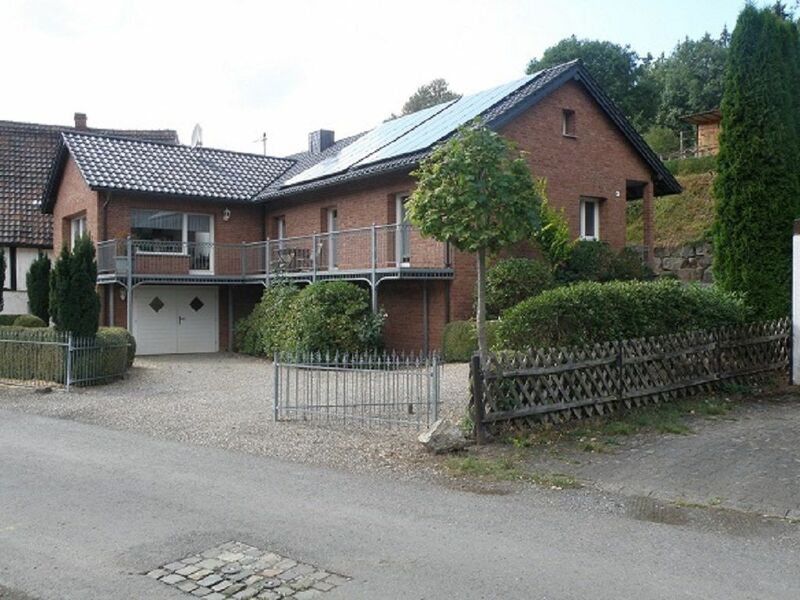 Our house is Pilgerherberge at the Jakobsweg Marburg - Cologne.